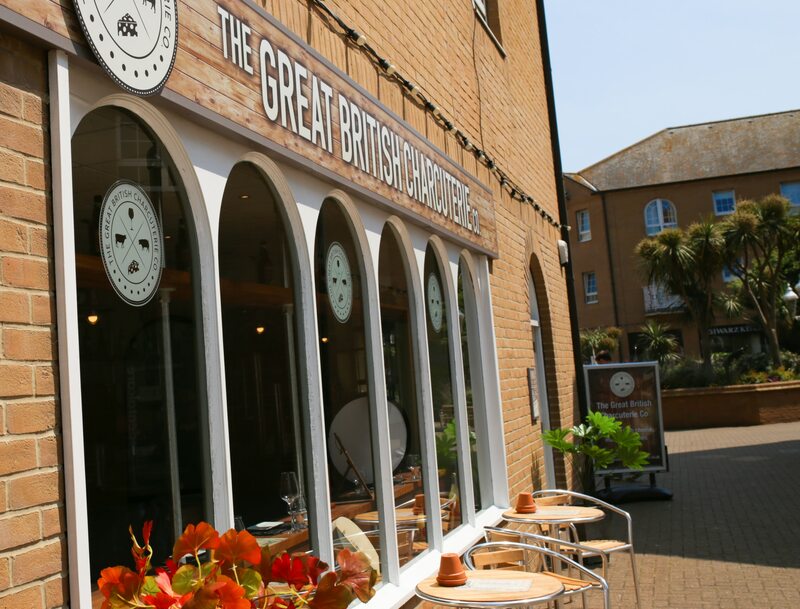 The Great British Charcuterie Co. is located at the scenic Brighton Marina and was founded in 2016 by father & son Simon and Phil Bartley. 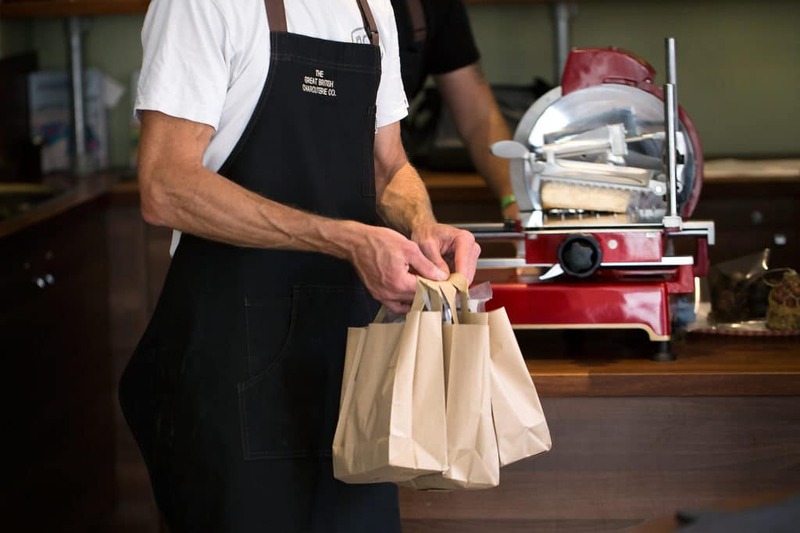 The shop showcases the finest British cheese, wine and charcuterie helping to raise awareness of what the country has to offer and its talented artisan producers. Not only is this the perfect place to do your food shopping, you can also enjoy a spot of lunch alfresco style. 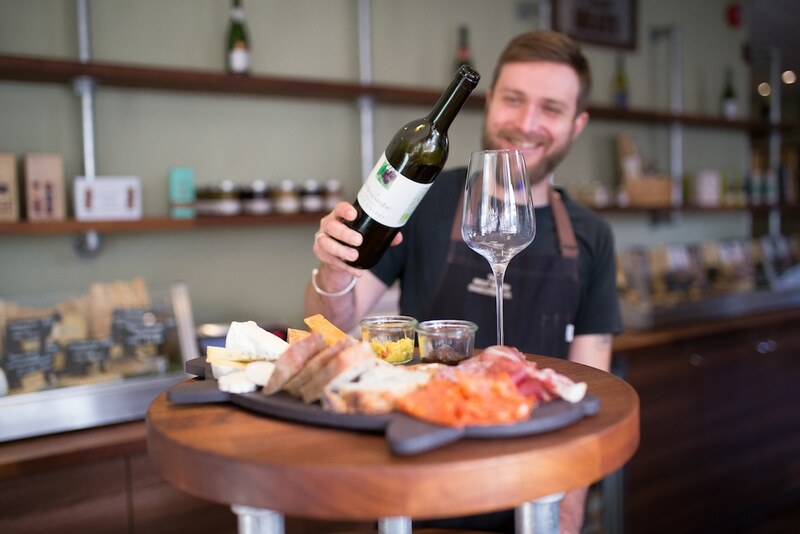 Everything at GB Charcuterie, from the meats, cheese & bread to the wines, beers and chutneys are from Britain. 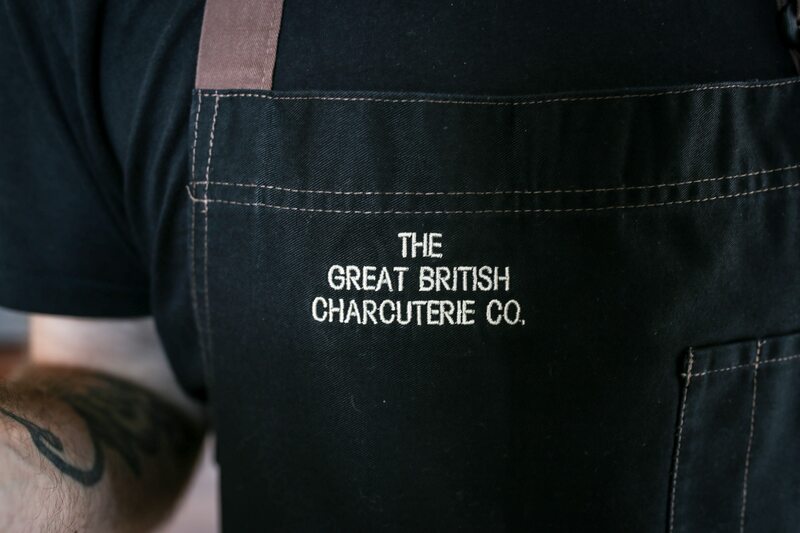 After many years of working with UK’s leading food suppliers and farmers, GB Charcuterie have created a fantastic range that is solely from Britain and Ireland. You will always get the best quality as every item in the shop is tested ensuring it truly is the best of British! Over the last decade the need to preserve meat is being realised to be important again in the UK by farmers and producers. This has meant we are lucky enough to have a wonderful selection in Britain of charcuterie meats. 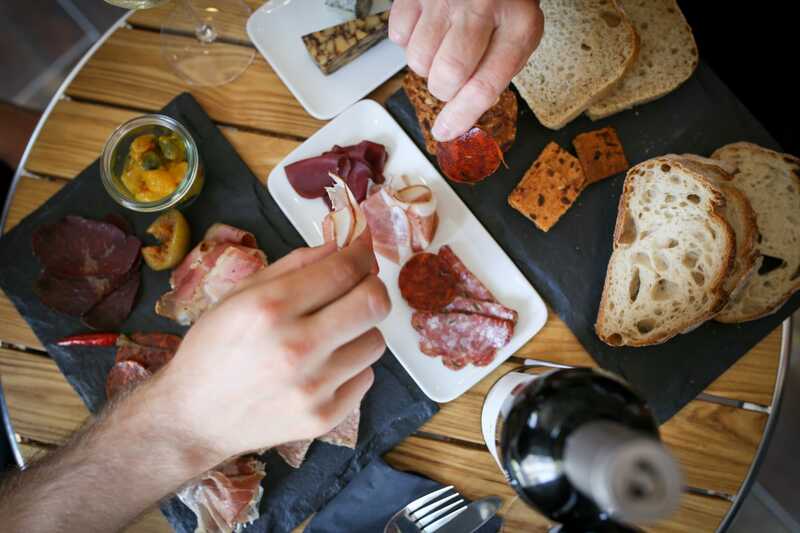 All of the charcuterie sold is produced using free range meat and the suppliers have strict animal welfare standards. From Highland Wagyu to the large range of salamis and a great selection of pates and chutneys to accompany. 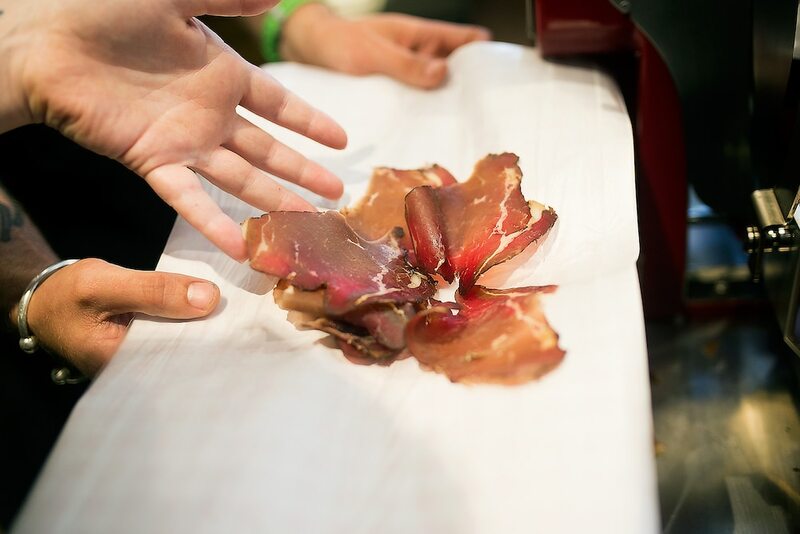 With over 40 unique, mouth-watering products such as Air-Dried Hams, Beautiful Bresaolas, Salamis & N’duja and many more that are all produced here in the UK. 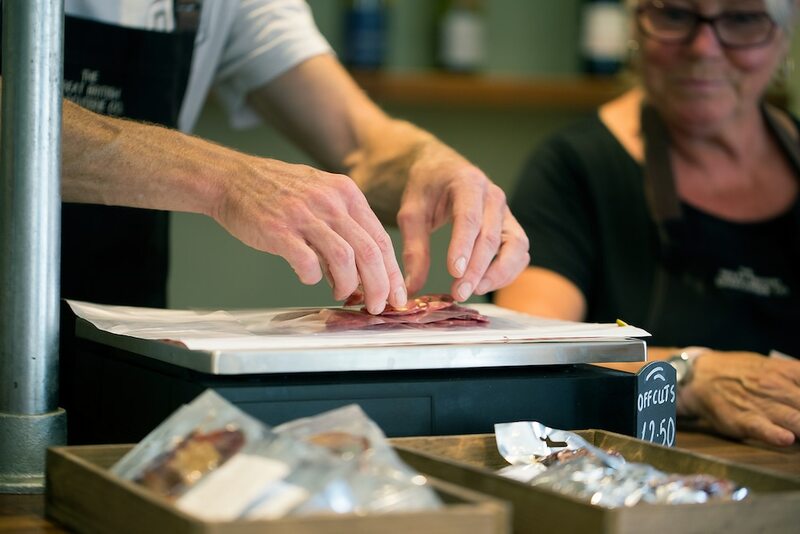 All of the charcuterie can be purchased as whole muscles or pre sliced and there’s the option to buy their popular bespoke charcuterie packs. 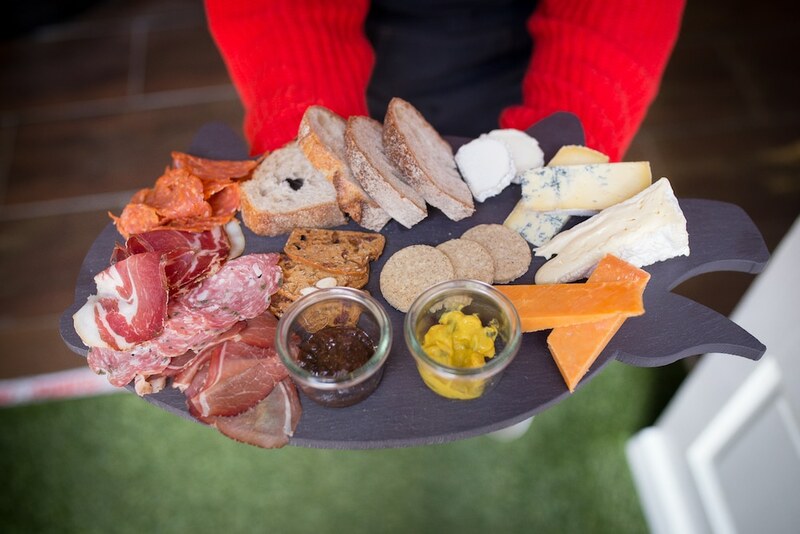 GB Charcuterie have recently expanded their space, adding seating for you to sit down and enjoy a deli board full of their freshly sliced meats and cheeses as well as a delicious glass of wine! 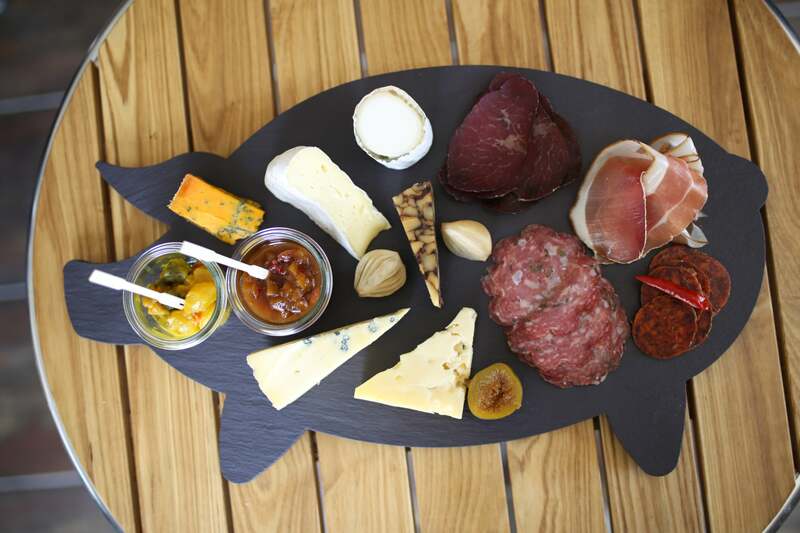 Based in Brighton Marina, it’s the perfect pre- cinema snack or lunchtime nibble. 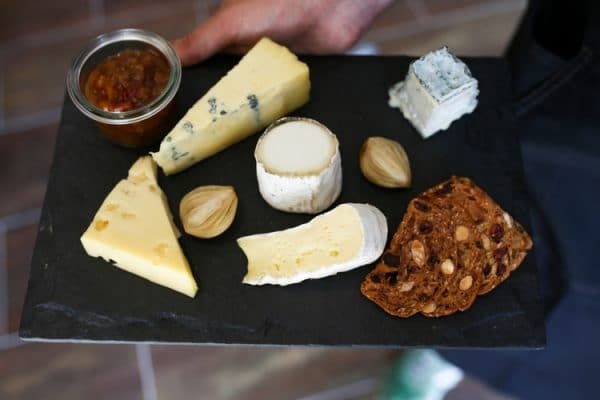 Britain & Ireland produce some of the best milk in the world and therefore some of the best cheeses! 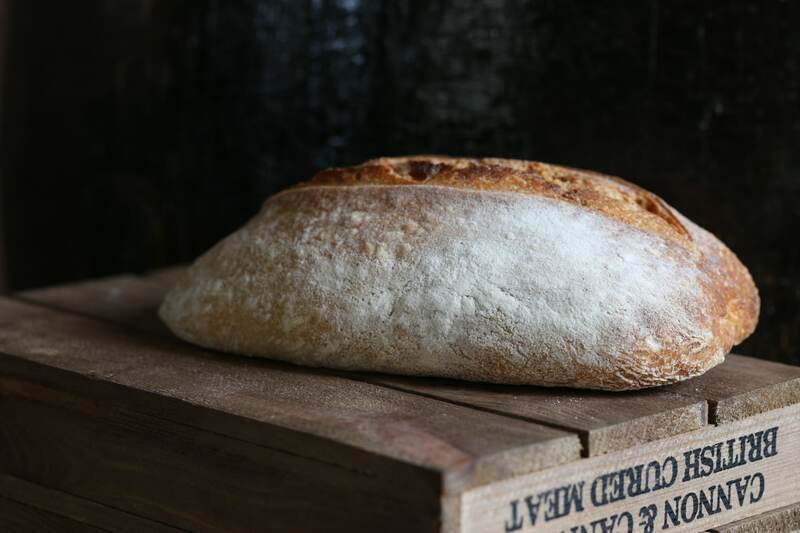 GB Charcuterie bring you artisan cheeses that have been matured to their standards. 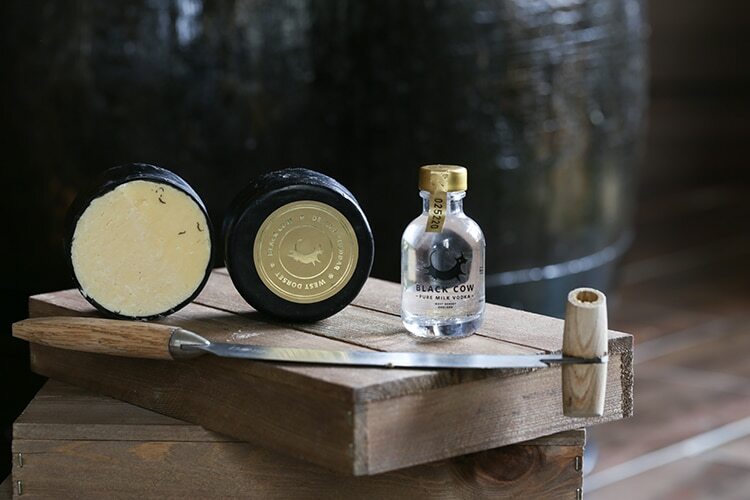 They also supply Black Cow which if you haven’t heard of them, they create stunning milk vodka and with the leftover curds from the vodka production, a tasty Black Cow cheddar is born. 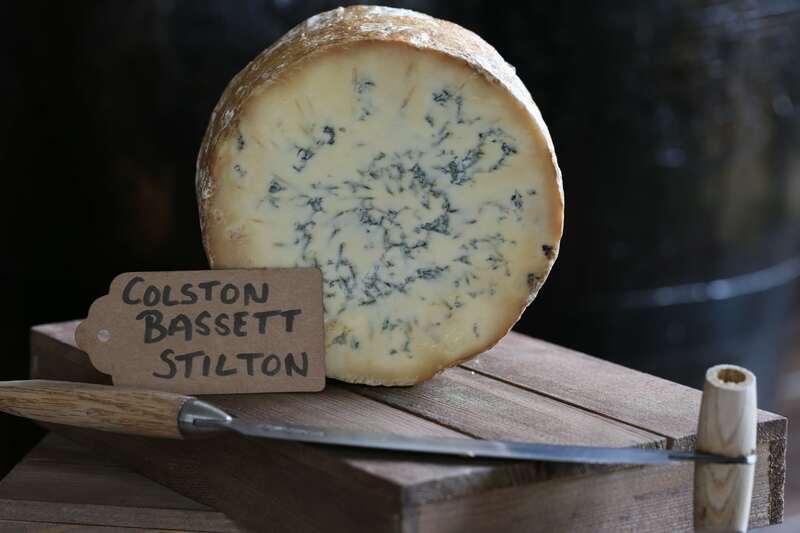 Many other British classics such as Westcombe Cheddar, Colston Bassett Stilton & Stinking Bishop are sold at GB Charcuterie alongside the popular charcoal cheddar. Because they are constantly developing their range, be sure to watch out for new additions! All the accompaniments you’ll need! 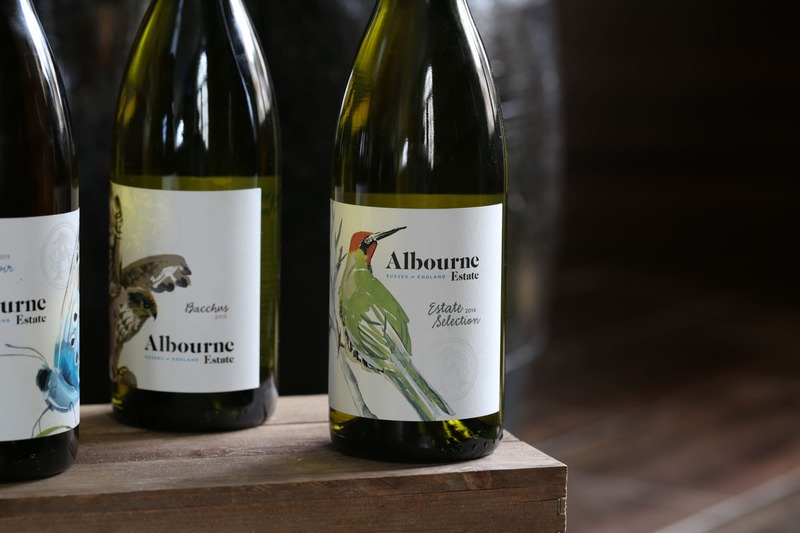 You’ll find many other British products such as their ever expanding award winning wine selection, craft beers & ciders, juices and accompaniments such as breads, pates & chutneys. If you have a dinner party coming up and want to put on a spread of quality & delicious food then GB Charcuterie is where to buy it! They also put together hampers which make a great gift for that foodie friend. 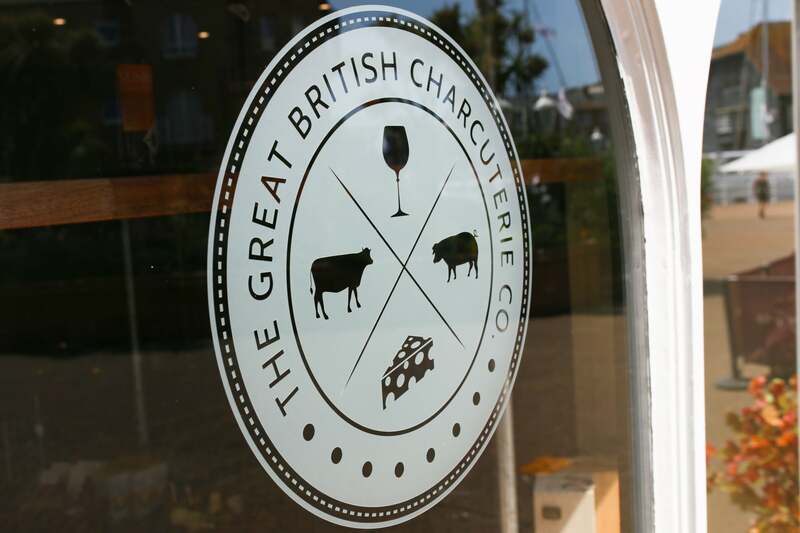 GB Charcuterie is available for wholesale too, with competitive prices you can see why many of Brighton’s best restaurants are their customers. All of the cheeses can be supplied as whole truckles, by weight or in individually wrapped mini truckles, great for retail. They also offer a catering service if you have a wedding or party coming up and need food. Everything is available to buy online and with their skilled team they will make sure everything leaves in it’s peak condition. With their next day courier service you’ll receive your order straight to your door before you know it!